@FranRood New sign in wanstead, wanstead village?!! What the helll! This is not a villiage! 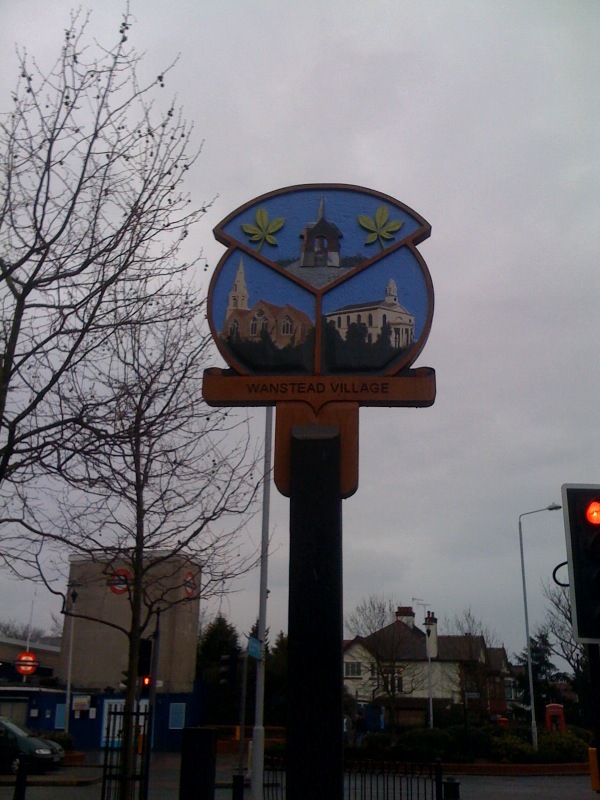 What do Wanstead’s new ‘village’ signs mean? 1. The coat of arms was previously that of Wanstead and Woodford Borough Council, which was incorporated into Redbridge in 1965, and dates from 1937. 3. The birds (martlets) and lions on the shield refer to Westminster Abbey and Waltham Abbey, which oversaw Wanstead and Woodford. 7. Christchurch, Wanstead – rather confusingly pictured here as red rather than the actual grey. 8. 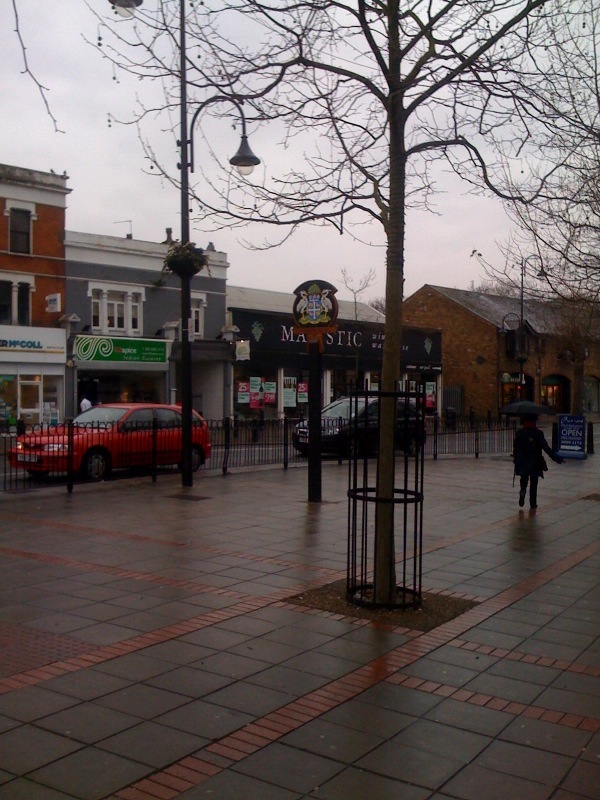 Wanstead drinking fountain, outside Wanstead Underground station. 9. 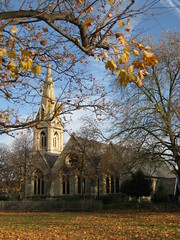 The horse chestnut leaves refer to Redbridge Borough Council. 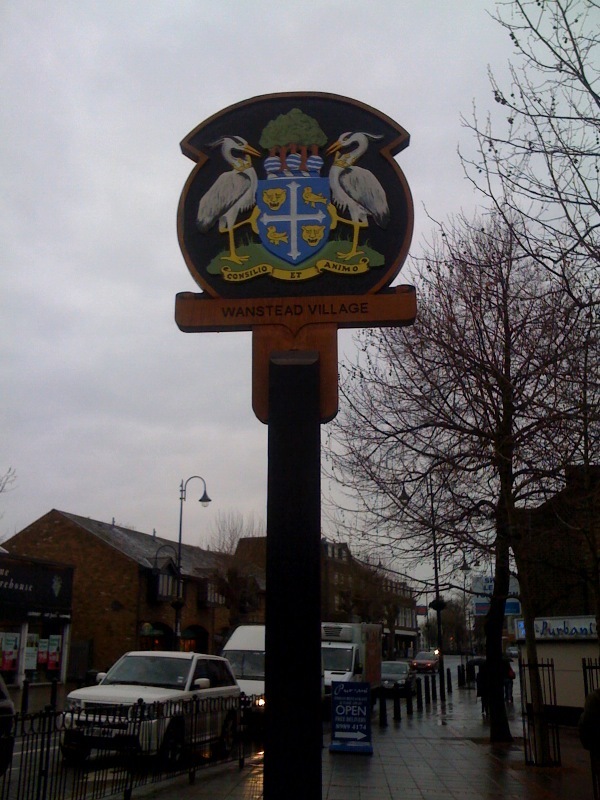 Wanstead is the proud owner of a new set of ‘village’ signs, positioned at either end of the High Street. 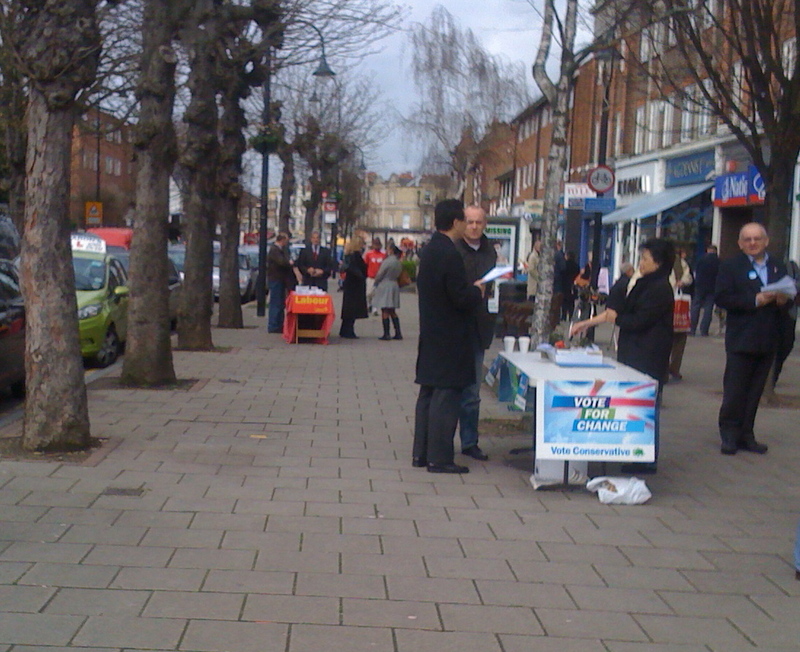 In what will probably become a fixture of Wanstead High Street in coming weeks, both Labour and Conservative prospective parliamentary candidates spent their Saturday mornings with trestle tables and volunteers within feet of each other handing out leaflets. 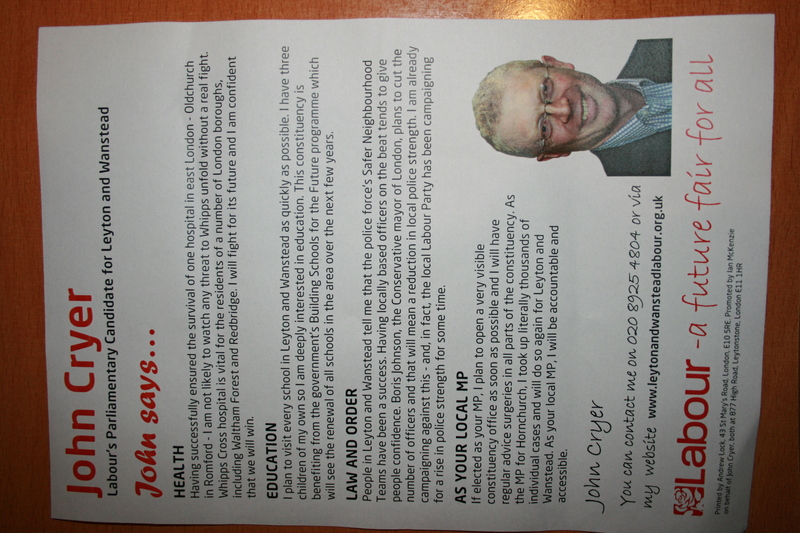 Below are the leaflets they were distributing. 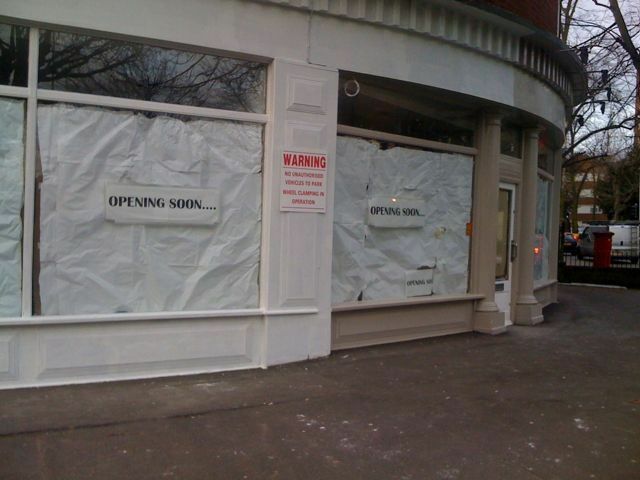 As Wansteadium noted last week, the “Opening Soon” posters completely covering the windows of the former Devon House Interiors on Hermon Hill are pretty successful at building a sense of anticipation: it’s a large shop, great setting, lots of people passing… what could it be? A restaurant, perhaps? A new cafe? A bookshop even? Road safety plans costing Â£165,000 have been agreed for New Wanstead, which has an accident rate 30% higher than other equivalent roads in Redbridge. 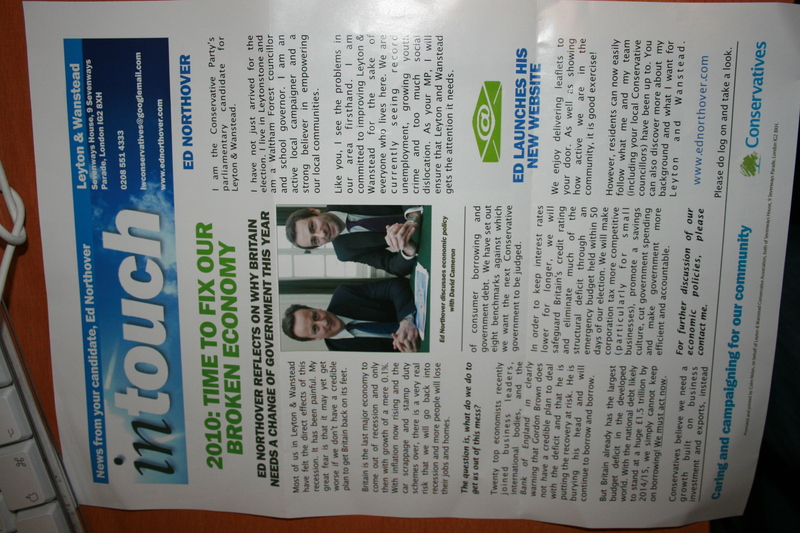 The plans will include a new pedestrian island, new lighting and a new road surface. 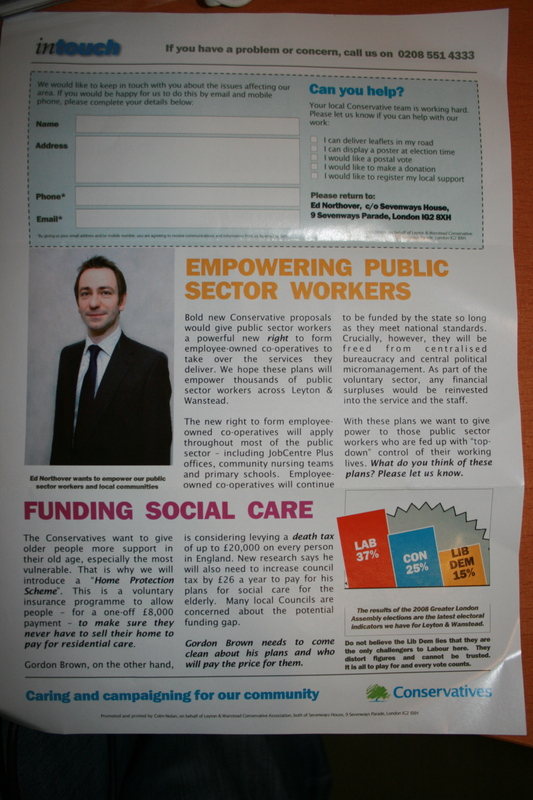 Details at Wanstead Guardian. The Larder, the Orange Tree and the Wanstead Leisure Centre have all been nominated for the Smooth Radio Love London Awards. It’s back to business for children’s boutique Knock Down Ginger, which featured in the News of the World after a visit by bailiffs.